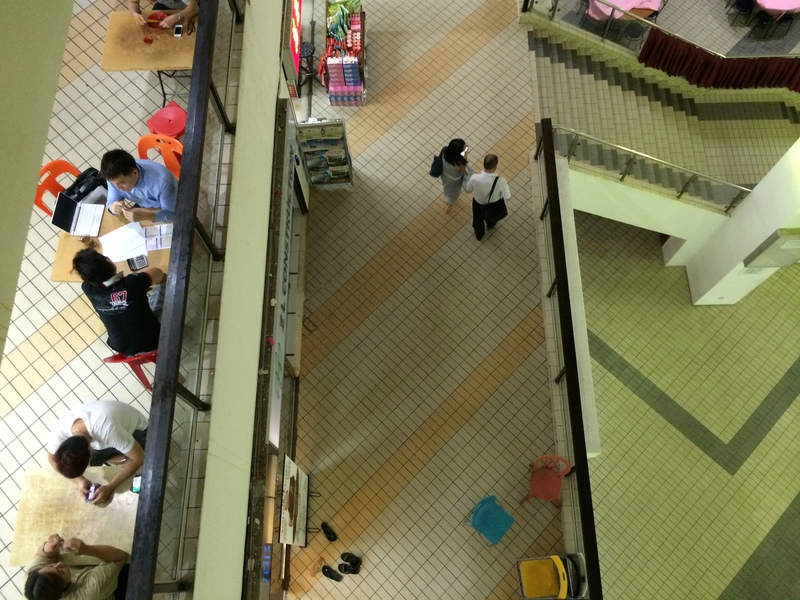 With its green hue lights, desolate corridors and a hint of classic Cantonese music reverberating from afar, the scene on a Sunday afternoon at Upper Serangoon Shopping Centre looks like it was picked straight from the outtakes of a Wong Kar Wai film. 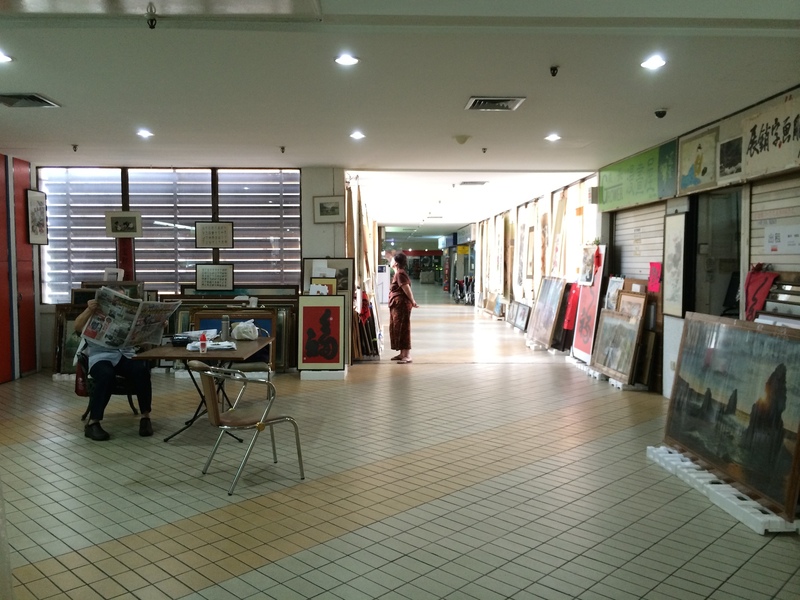 Like many shopping centres built in the 1970s such as Queensway and Katong Shopping Centre, this four-storey complex used to house an assortment of essential services that catered to residents living along Upper Serangoon Road, rangeing from the likes of barbers and tailors, to bookshops and even a tattoo parlour. 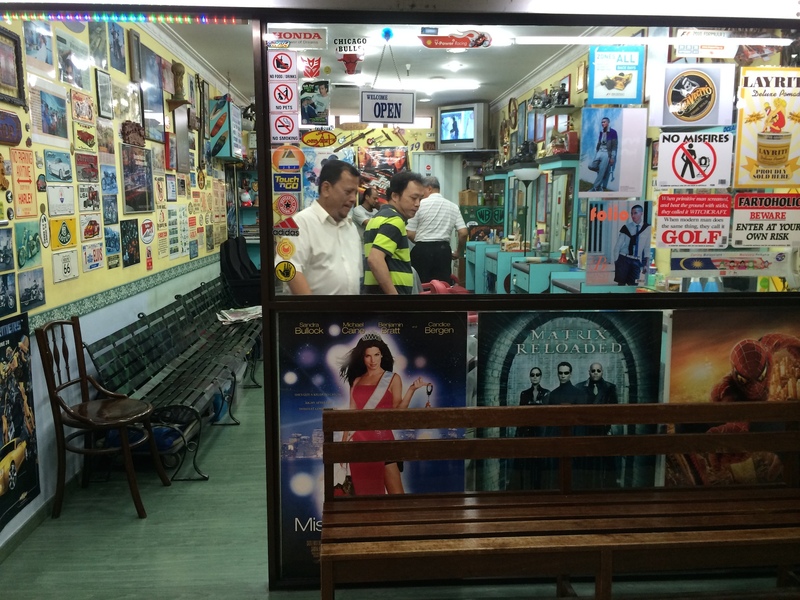 The most familiar shop of which however undoubtedly goes to ‘Ah Lim’ and his PC shop that attracted many an avid gamer such as myself over a decade ago. (I even remembering buying the Diablo II pack from him). 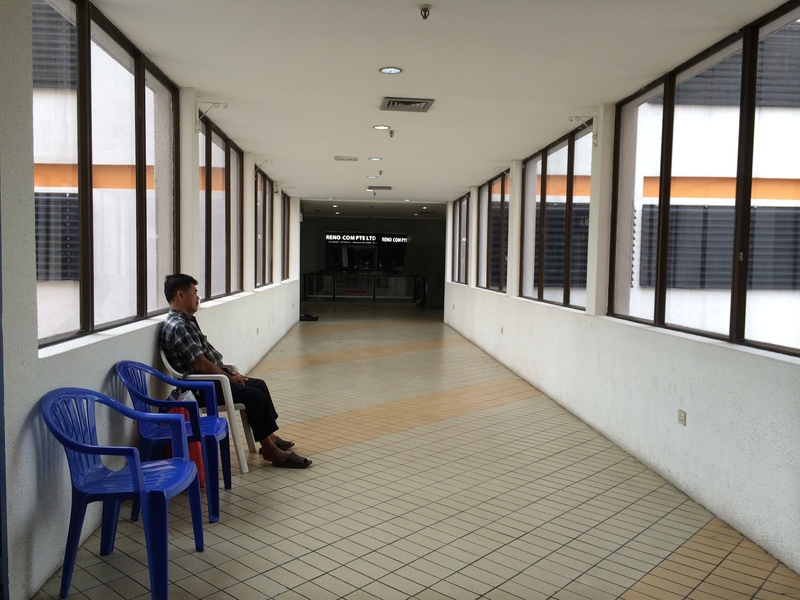 The desertion of the shopping complex has been over a decade in the making, and the few remaining tenants seem to be relying mainly on the occasional but also loyal customers who take their time with the haircut, massage or kopi-o that they’ve paid for. 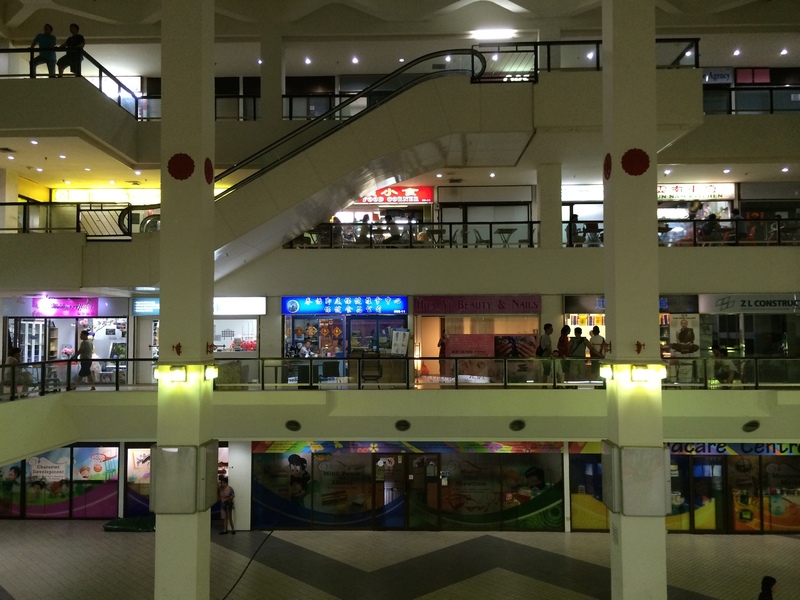 Design wise there’s nothing to rave about the shopping centre. 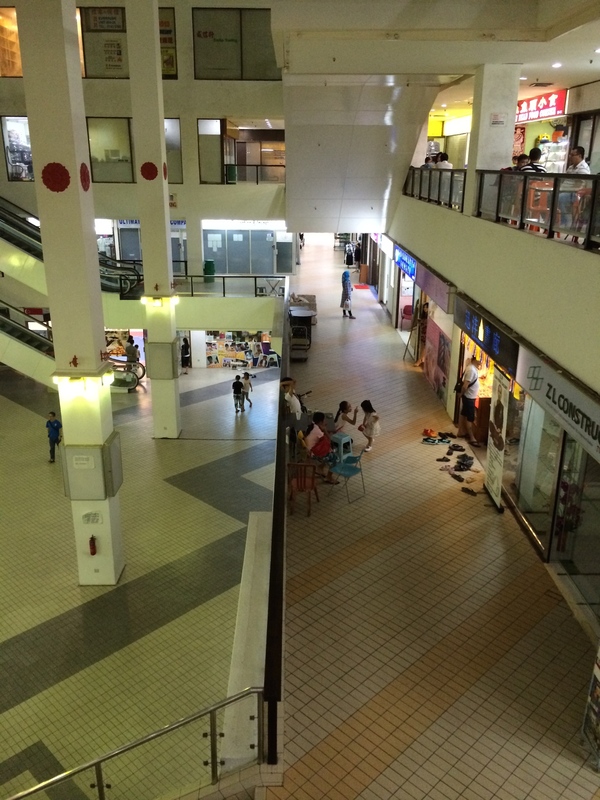 Right-angled corridors encircle the four towering columns in the centre, with tiles are laid out diagonally in patterns similar to that of old shopping centres like City Plaza. Out front stands a distinguished set of lions looking inward at visitors entering via the main entrance. 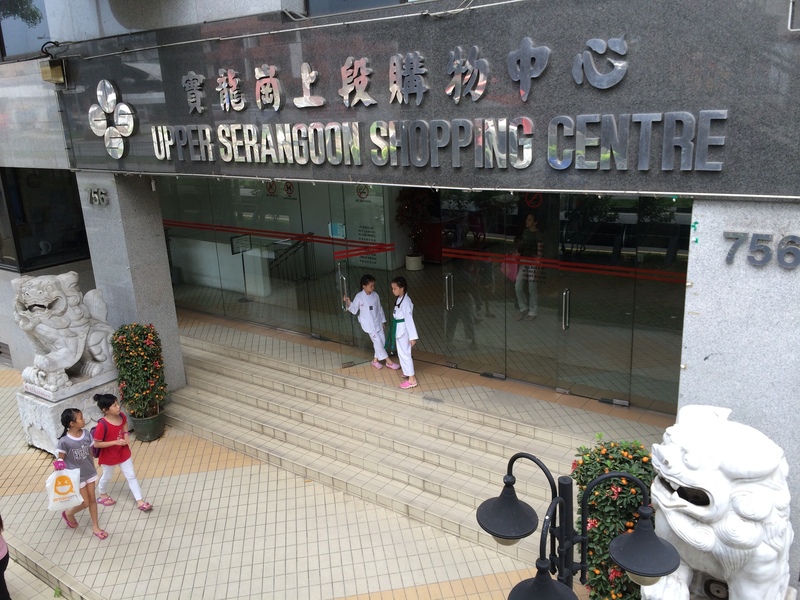 Yet for all the prosperity and good fortune that they were meant to bring, it seems that both the luck and fate of Upper Serangoon Shopping Centre will be up in a matter of time.